TRi Balinese Restaurant is Hong Kong's hippest Balinese restaurant, located in The Pulse in Repulse Bay (the same new shopping mall complex which houses a few other great restaurants that we have reviewed, including Limewood and Shoku). It's hard to describe the decor, except that it is nothing short of superb. Upon entering, there was a bar on the left hand side that appeared to be made of one giant slab of wood as thick as a tree trunk, where what looked to be first-date couples were sitting opposite each other, some making small talk, others having given up on that, and decided to instead spend the night checking their phones. With dim lighting and a generally romantic vibe, this was an unsurprising choice for those trying to woo their date. We were seated further inside the restaurant, which had two types of seating. The one that we were led to on the right hand side via a pathway lined with candles was a side of granite tables with a giant candle placed in the centre of each. 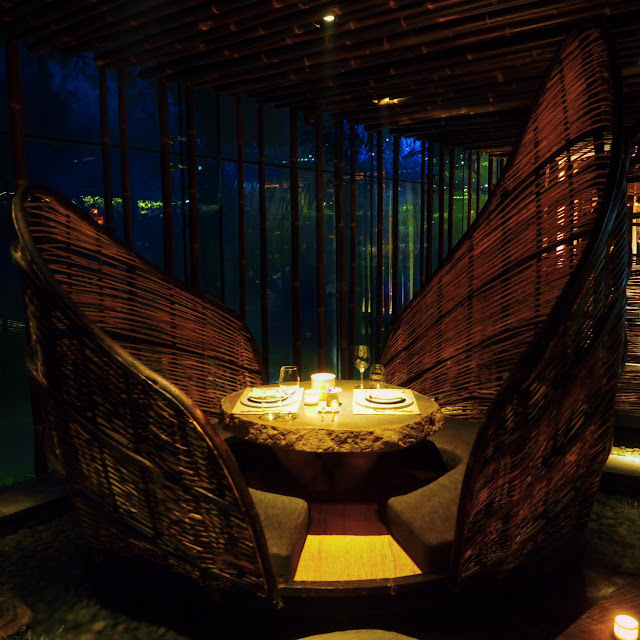 A wall of green plants at the end, brick and bamboo walls on the side, and a dark bamboo ceiling from which lights resembling swirling straw, gave the impression of an elegant, dark and exotic bachelor pad. 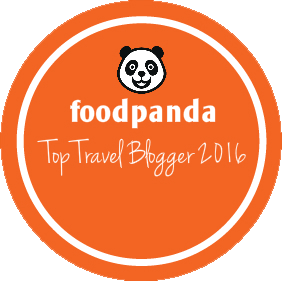 On the other side of our table were steps leading to basket like, enclosed boats resting in shallow water with pebbles at the base. With long flat cushions (like tatami) on the floor, I was at first disappointed that we had not been seated there, until I remembered reading another review that said that being forced to sit "Japanese" style (i.e. with legs crossed on the mat) was extremely uncomfortable. Only a few moments later, a group of people sitting in one of these boats requested to be moved to one of the granite tables. 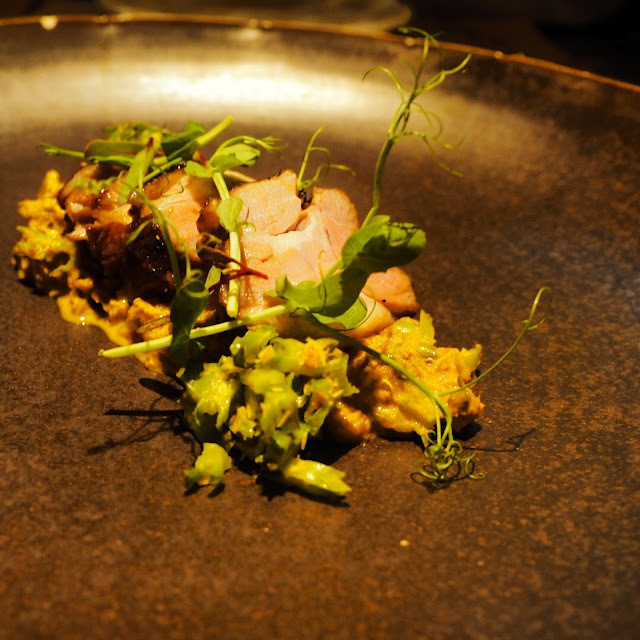 Like the interior design, the dishes were immaculately presented, with a dish that appeared to be a slab of granite acting as a base. The only thing that was somewhat strange was the music, which alternated between soft Balinese, soothing tones accompanied by a gentle bass, and the voice of someone speaking odd phrases about ginger and Chai. To make up for this though, the service was excellent - with each dish came a change of cutlery and dishes, water was filled promptly, and we were asked if the meal was to our satisfaction at the end. 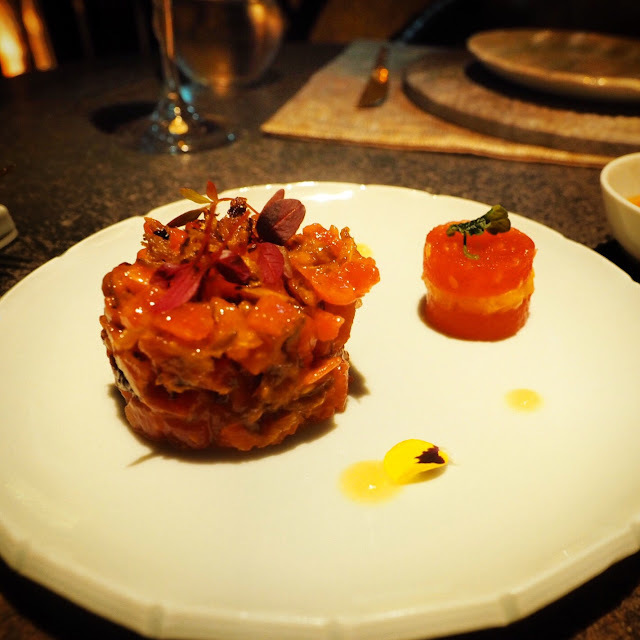 The tuna tartare (HK$210) was served Balinese style (as with all the food), which meant it was quite spicy with fried shallots and fried rujak. The textures were balanced between the moistness of the tuna, the crunch of the fried ingredients, and the coolness of an accompanying watermelon cube. 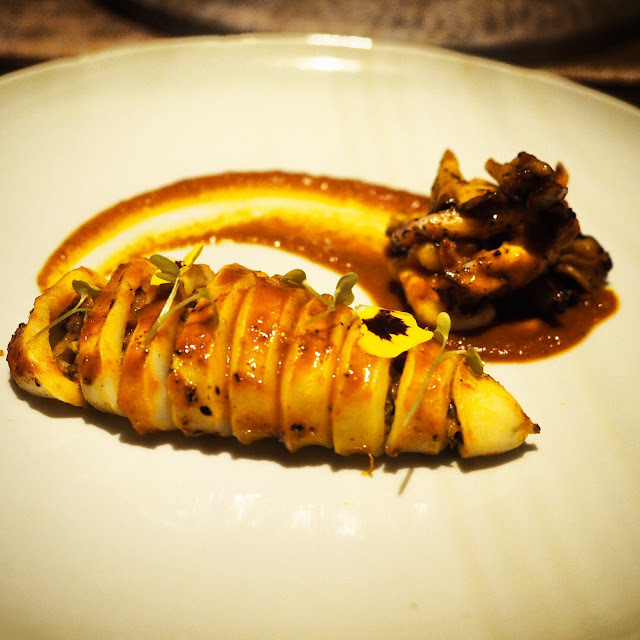 The jamur squid (HK$190) was grilled with jimbaran BBQ sauce, and stuffed with mushrooms and base gede. I thought the dish was great - the sauce had a tangy and smoky flavour, with a lingering aftertaste of spice. The squid was smooth and delicious. The seafood nasi goreng with stir fried rice, vegetables, shrimp and squid (HK$150) came in a smaller, granite bowl. I don't usually eat a lot of rice, but this was jam packed with ingredients and flavour. The seafood was not the pitiful morsels usually found in a nasi goreng, but were rather large and tender, contrasting to the cabbage and onion in the dish. 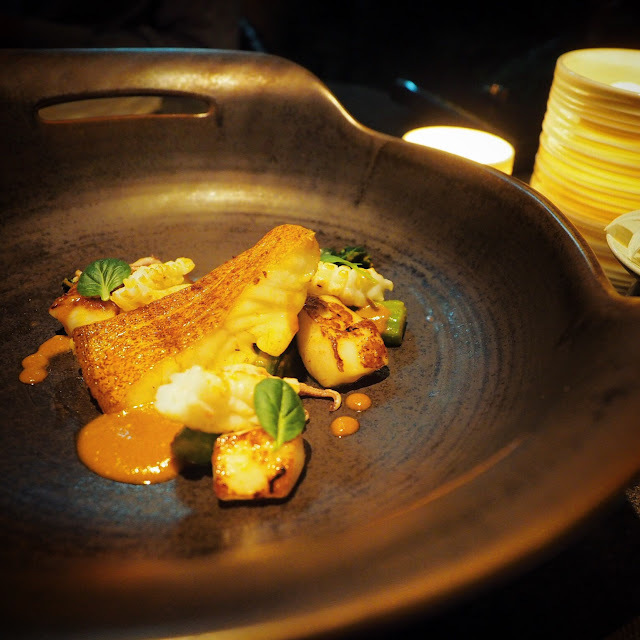 After that came the coral trout with pan fried scallops, choi sum, and squid in coconut curry (HK$320). Although it was beautifully presented in a giant metal bowl with a sprinkling of greens and squid, I was surprised at how little curry sauce was applied. The fish was fresh and soft with a mild flavour, but the scallops and squid were slightly underwhelming. While the lamb (HK$220) (cooked medium) was tender with beautiful sauce, the morning glory (HK$80) was wholly dissatisfying - overcooked, and drenched in sauce that tasted like fake seafood. 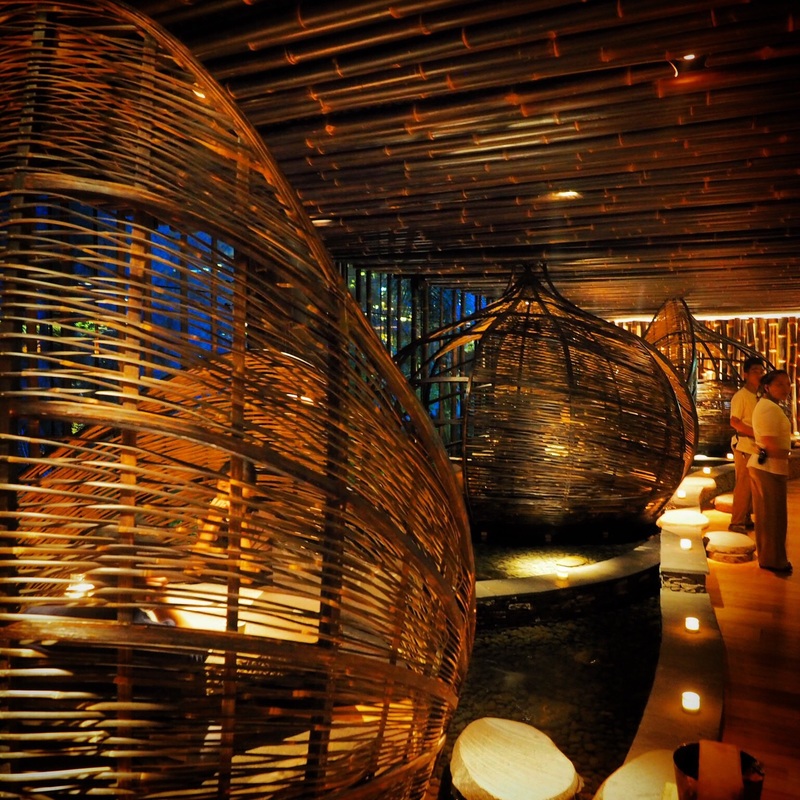 Overall, I would definitely recommend a visit to TRi for the novelty factor, particularly given that Balinese food is not too common in Hong Kong. The interior design, presentation, and service all give the restaurant a thumbs up, but for the price, I would probably stick to Limewood and Shoku instead.